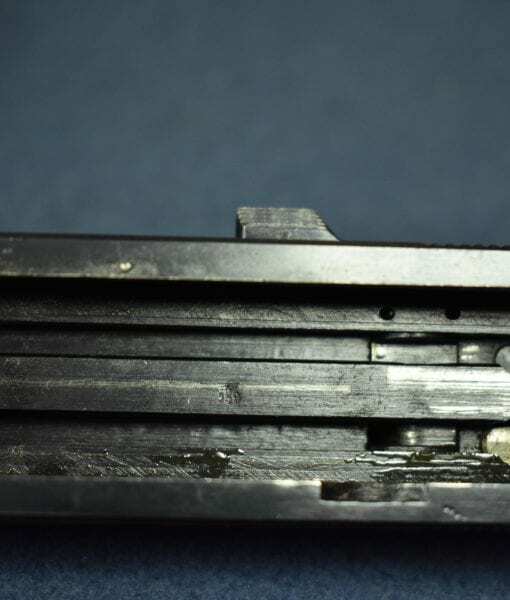 SOLD WALTHER ac41 P.38 PISTOL…….VERY EARLY “b” LETTER BLOCK 1st VARIATION……VISUALLY STUNNING! 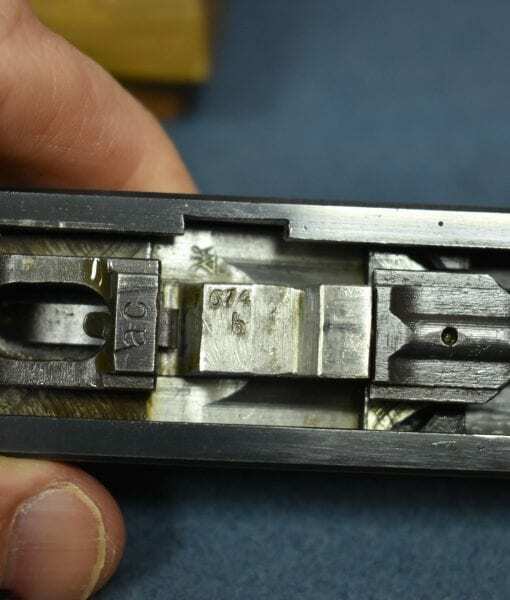 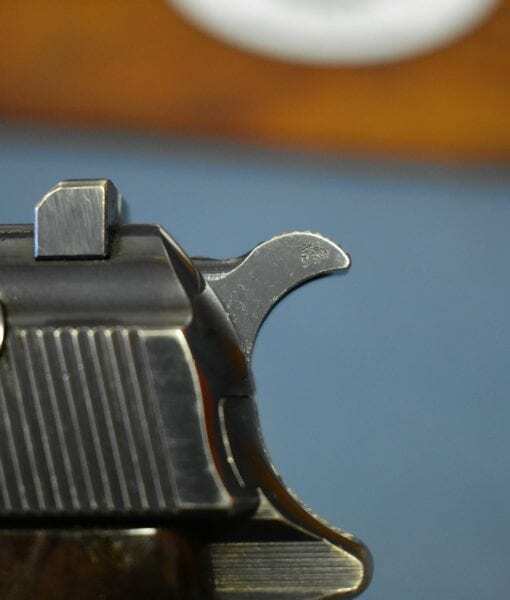 In 98% mint crisp condition completely matching except for the mag, we have a top example of an early high polish finish “b” letter block Walther AC41 P.38 Pistol. 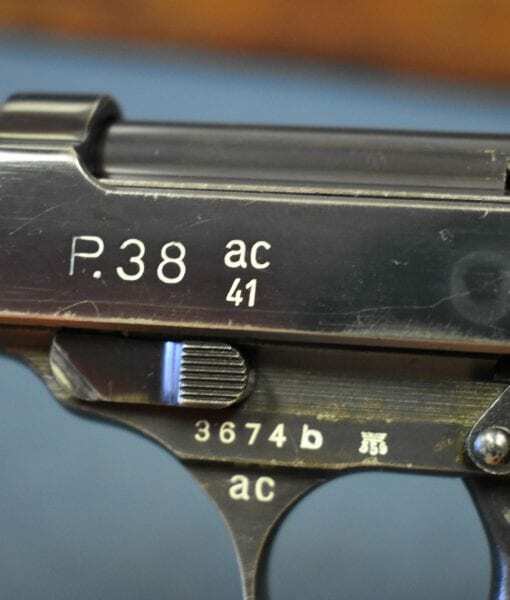 This is what collectors call the First Variation, its identical to a late ac40. 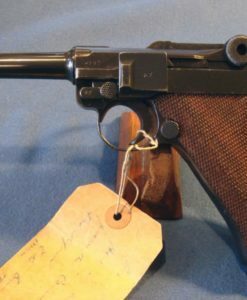 You just do not see these early Walthers this nice as the high polish commercial grade finish was very fragile and did not stand up to the rigors of war. 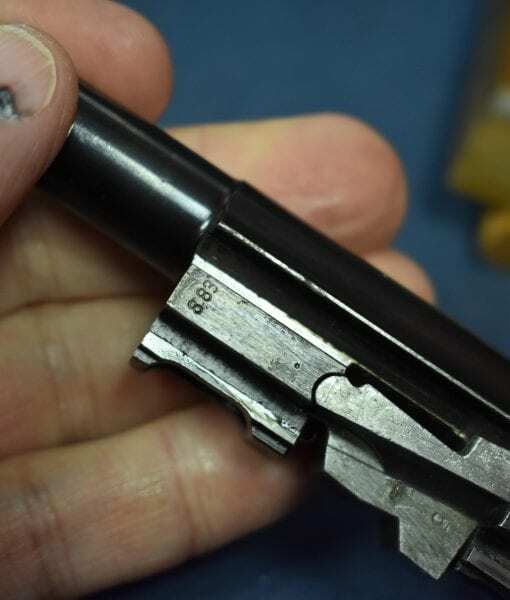 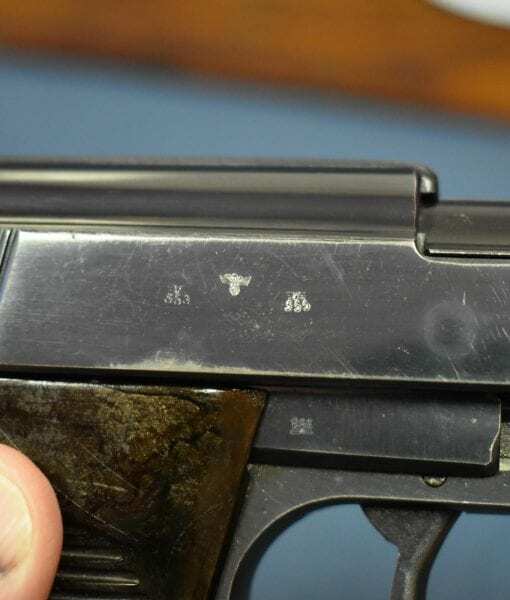 You may notice the round circle in the middle of the slide, that is referred to by collectors as the “water mark” and it is from the process of tongs holding the slide as it is blued. 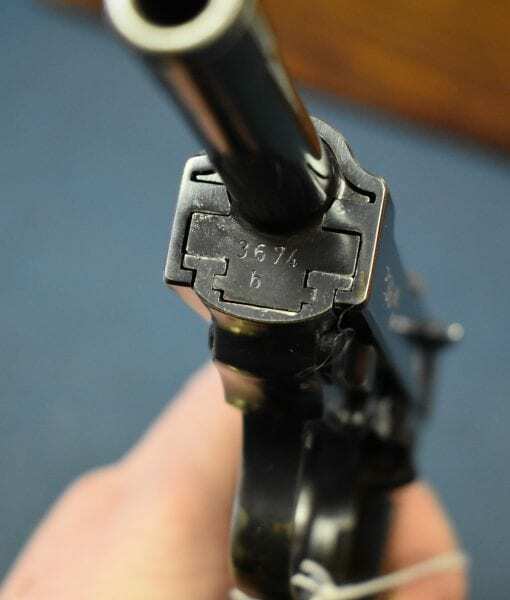 When you see the mark, you know the finish is original. 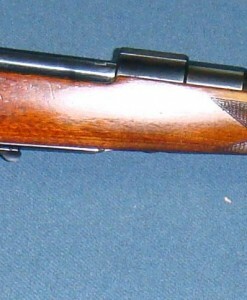 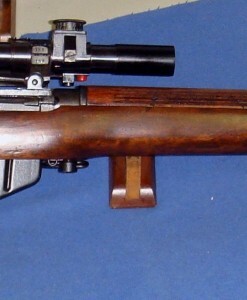 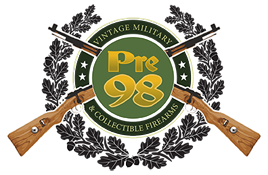 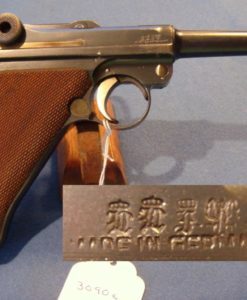 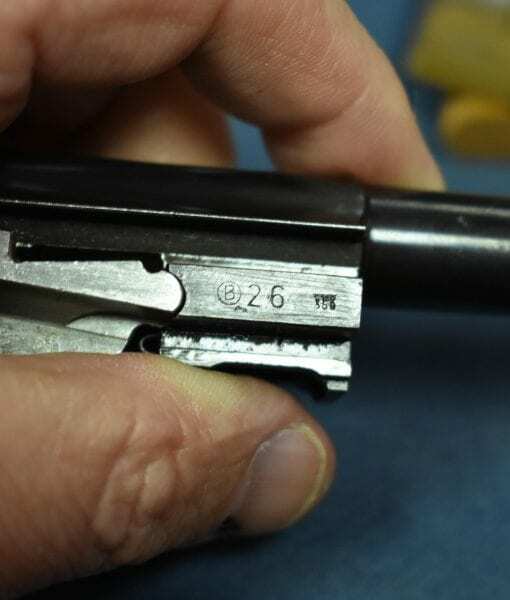 This will only show up on early guns through the beginning of 1941. 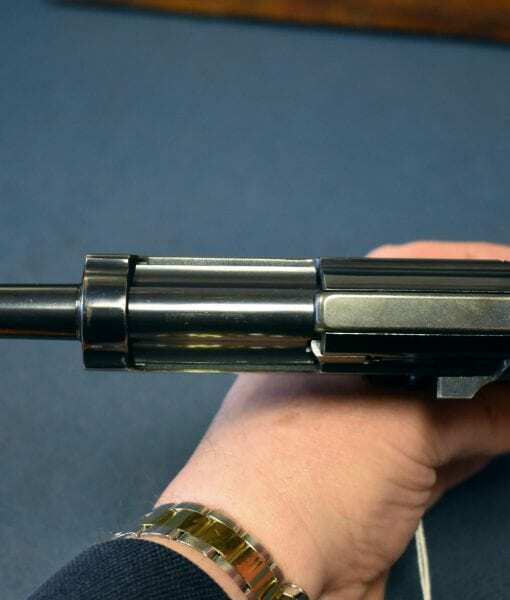 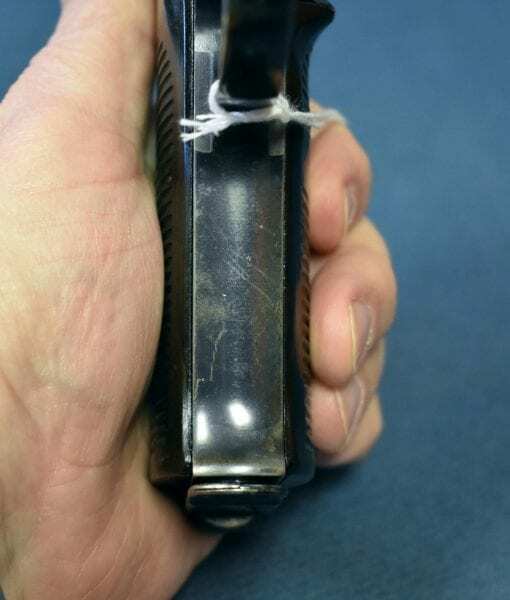 This pistol is all matching with a slightly rough but not horrible bore. 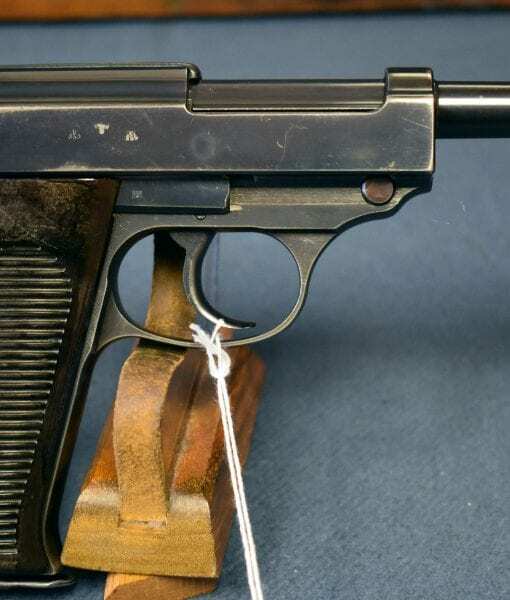 Absolutely a beautiful and extremely desirable early war P.38 Pistol. 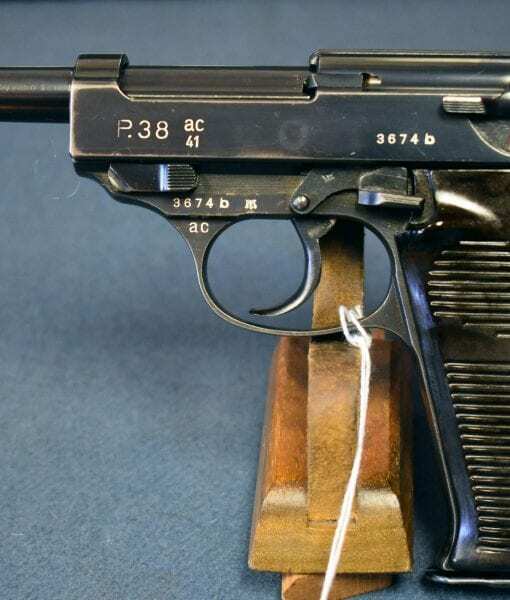 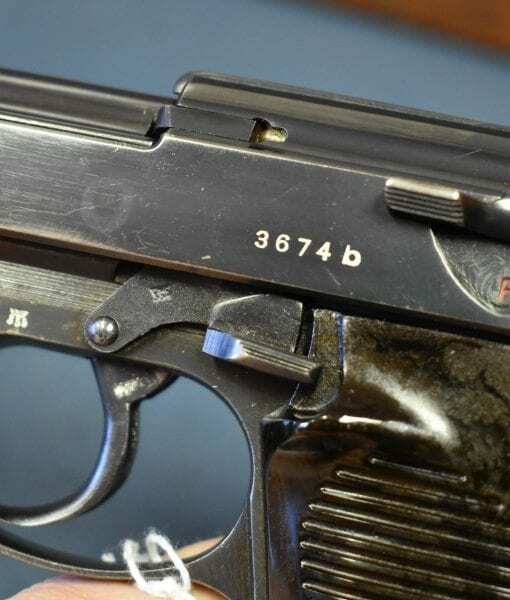 As beautiful as this pistol is, the price is a real bargain!